It happens every Christmas. Without fail. You vow to get through the season of food and frivolity with minimal damage to your dignity. It starts off well enough but somewhere between the gingerbread cookies and the glazed ham, you loose your grip. You end up rationalizing that this is Christmas, by gumby, and it is obligatory to over indulge. After a protracted period of wrangling cookies and cupcakes to the ground; you retreat in utter deflation. This is my life story. You think I jest? Nope. 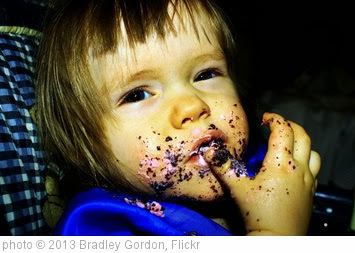 I am a veteran overeater and have been since early childhood. All humor aside, this enduring stronghold to food has caused me some serious suffering. Since my conversion, Jesus has slowly taken me to task about this personal weakness; my foodie infatuation. It is true. Our God is a jealous God, who abhors the false idols we try to place before Him…including that double espresso with whipped cream. If all this bewilders you it may be that you are one of those blessed souls that simply eats to keep the motor running. For the rest of us Christian foodies, eating and food can present a battleground more grave than mere holiday weight gain. Our lot quickly learns that diets, resolutions, and stomach crunches offer only minimal defense against the lure of overindulgence. Regrettably, we continue to suffer under the yoke of an unholy attachment to food and eating. This is a very intimate recognition and one that can be deeply painful. As Christian Soldiers, we don’t want to worship false idols for we know the consequences of such folly. The stakes are high and the enemy has long known that one way to trip up an earnest Child of God is via his belly. Holy Scripture is replete with stories and warnings regarding mankind’s weakness for food. So here is the kicker. No one but you knows when you’ve crossed the line into unholy consumption. Let’s face it. Spotting a guy who has had one too many rum-laden, eggnogs is pretty easy. Yet only you and Jesus know when you have become a slave to food, whether it be in thought or in deed. Jesus knows exactly what consumes our thoughts and behaviors at Christmastime and every other day of the year. No worry. There is great hope and a very real solution. Red-faced, I admit that it took me years to realize the obvious. Despite in-depth psychological training, a specialty in nutrition, and multiple self-help books, I still struggled. Until one day when the Lord, in His Mercy, offered me a pearl. Overeating is first and foremost a spiritual malady; therefore, requiring a spiritual solution. You may have known this all along but for me it was a true epiphany. With the Lord’s help, it has led me to slowly develop a spiritual prescription for gluttony. Still a work in progress, this approach involves prayer, fasting, and other Christian fundamentals. It is a personal defense plan but perhaps it can help another struggling soul. If that someone might be you, please drop by for Part 2 of Overeating Sugar Plums.